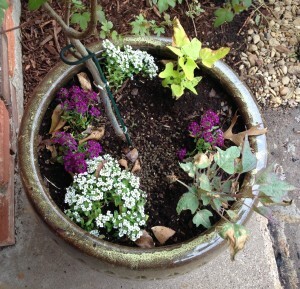 Since we have been talking about Spring cleaning, here are some planters I want to share. I hope these beauties give you some inspiration going into the weekend. Heck, give me some inspiration. I have three shrubs I want to dig up and move, but have been procrastinating because it is going to be HARD WORK. Back to planters. 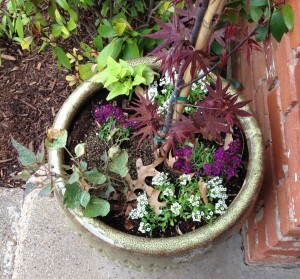 Here are two planters, after. I didn’t capture the before, but I’ll give you the low down. 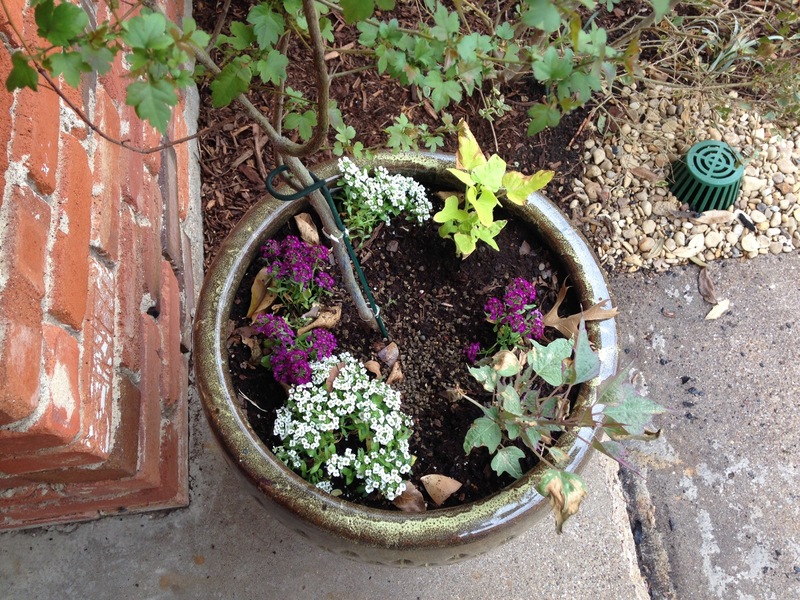 The first planter’s tree was dead and everything planted in the soil was dead. This past winter was harsh. Here is what we have now. Left container. 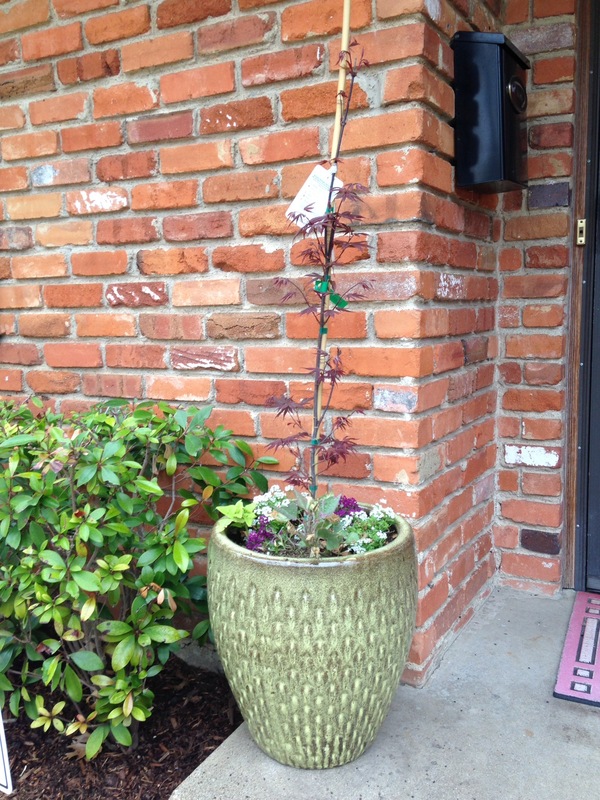 I purchased a tiny Japanese Maple. 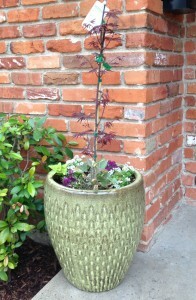 According to the nursery a Japanese Maple does well in planters. I’m going to give it a shot and if it starts to get too large I will move it to the lawn. 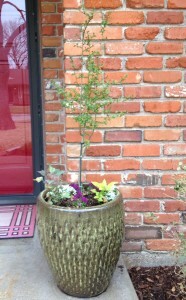 The second container is a blooming tree. Plants that are in clusters like this and have lots and lots of roots are very easy to split. Just break the soil in half. Yes, it is that easy. And these grow fast so the containers within a couple weeks will fill in completely.